Tawse is a family-owned organic and biodynamic winery located on the lower slopes of the Niagara Escarpment in Ontario’s Niagara wine country. It was founded in 2001 by Moray Tawse, a banker in Toronto, who first bought the property in 2000 and officially opened the winery in 2005. Paul Pender and Rene Van Ede share winemaking duties; the former is the director of viticulture and winemaking, the latter (a graduate of Australia’s Charles Stuart University) is the winemaker. Pender, a former carpenter and graduate of Niagara College’s Winery and Viticulture program, has been there from the start in 2005, becoming Head Winemaker in 2006. In that time, he has worked alongside a number of extremely high profile and very talented winemakers, including Deborah Paskus and consultant Burgundian winemaker Pascal Marchand. 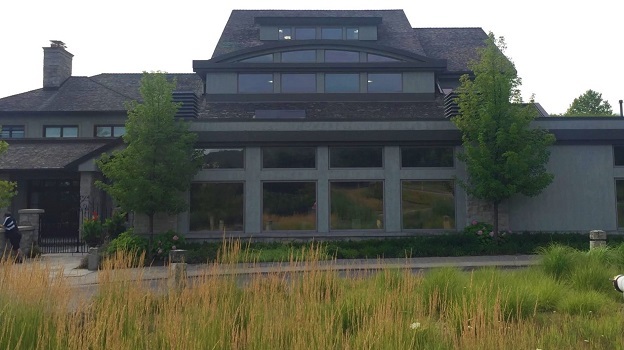 Marchand joined in 2006, but has since become primarily involved with Tawse’s Burgundy properties. Tawse’s family namesake Niagara estate is one of the region’s crown jewels. Notwithstanding the sheer beauty of the winery (it’s a state of the art wine workplace, characterized by a six-level, gravity-flow design, geo-thermal system and a wetland bio-filter) and vineyards (on a clear day you can stand in the vines immediately around the winery building and neatly see the Toronto skyline, CN Tower included, right across Lake Ontario) and the numerous awards bestowed on the estate and its wines over the years, you get a sense of purpose every time you taste a Tawse wine. The Tawse estate currently encompasses over 200 acres (180 of which are under vine) and practices Ecocert and Demeter certified organic and biodynamic agriculture. The estate is planted mainly to Chardonnay, Riesling, Gamay, Pinot Noir, and Cabernet Franc, but also has small parcels of Merlot, Syrah, Pinot Gris and Gewürztraminer. However, the Chardonnay, Riesling and Pinot Noir amount to about 85% of Tawse’s production. I have always found the Chardonnay and Cabernet Franc wines at Tawse to have the greatest potential (the Pinot Noirs have also shown promise over the years), though a tendency to over-oak everything was especially obvious in the beginning. In my opinion, this oaky presence always camouflaged the fruit in Tawse’s young wines, leaving me generally unimpressed. I gather I must have been in the minority, as these highly acclaimed wines have garnered a bevy of medals and awards at local wine fairs over the years. In any case, the overoaking appears to have since been successfully reined in, and nowadays, Tawse makes some of Canada’s most exciting, polished wines. 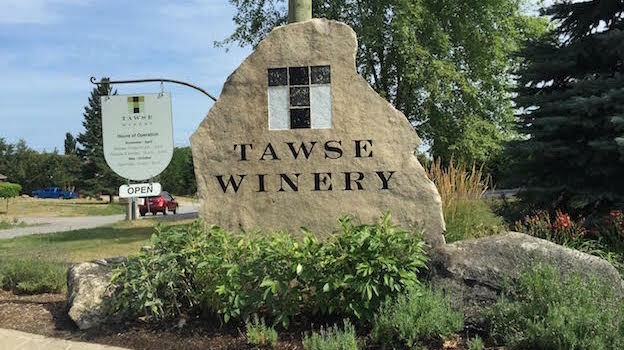 Currently, Tawse’s best wine is the Quarry Road Chardonnay, made from a single vineyard of 40 acres, of which nine are planted to Chardonnay (the rest of which is Gewürztraminer, Pinot Noir and Riesling). The Chardonnay vines were planted in 1996 and the first vintage of Tawse’s Quarry Road Chardonnay was the 2006. In 2005 the grapes were eaten by hungry birds; since then Tawse uses netting to safeguard the ripening grapes. As the vineyard’s name implies, the soils (mainly clay-limestone-loam) are especially rich in limestone. In fact, there’s an old limestone quarry nearby, from which the vineyard and road take their names. The Quarry Road tends to always be the leanest and most mineral of all the Tawse Chardonnays. It’s a very successful example of cool climate Chardonnay the Niagara region is justly famous for (or should be). The wine's generally lean, high-acid profile is also the result of the vineyard being located in the higher altitude, generally cooler Vinemount Ridge Designated Viticultural Area (the Ontario Designated Viticultural Areas are the equivalent of France’s Appellations or Italy’s Denominazioni). At three tons per acre, the Quarry Road Chardonnay yields aren’t especially low, but Pender told me he believes that when cropped lower, the wine tends to become blowsy, too ripe and concentrated, and loses greatly in finesse. Pender likes to pick earlier rather than late (not surprisingly, total acidities are on the high side in this wine, ranging from 7-8.5 g/L), but admits liking Chardonnays that have vibrant acidity (not at all an unreasonable stance, I may add). For this reason, malolactic transformation isn’t always carried through completely. The wine stays about six months on the lees and ages twelve months in French oak barrels. Initially only 228 liter barriques were used, but in an effort to have wines less dominated by oak, Tawse has gradually moved over to 500L tonneaux. The first tonneaux were used in 2009, and today, about 50% of the wine ages in tonneaux rather than barriques. In any case, the Quarry Road Chardonnay appears to age splendidly. About 12,000 bottles of this wine are made a year (the estate’s total annual wine production is about 30,000 cases.